Julia and I were just talking about how from this time of year on, there's basically a holiday (if you consider birthdays to be holidays, WHICH I DO) every month until Easter! Halloween, T-Day, Christmas, mah birthday, Valentine's Day, J's birthday, and then Easter because it's in March next year. Exciting no? I tell you what's exciting...the first frost! Happened just this past week and we've had to add an extra blanket to the bed and I'm thinking that it's flannel time soon. I don't want to leap into the flannels too soon though because once I do they'll be on the beds until June, and that thought will depress me, that we live in a climate wherein one needs to have flannels on the bed until June. Andrew, who is Mr. Positive, would say, 'Oh that just means you get to be cozy until June.' I would say (I am not Mr. Positive), 'no that means my fingers will be cold for the next 8 months.' Now I have made myself sad. This ghost costume is just too fabulous. Doesn't this Halloween craft book look super cute? Just found Lark, an online source of everything fun, especially for kids. Children's books about bullying and empathy. You must watch the video in this post. Come back and tell me, did that not change your life, just a bit? It did mine. 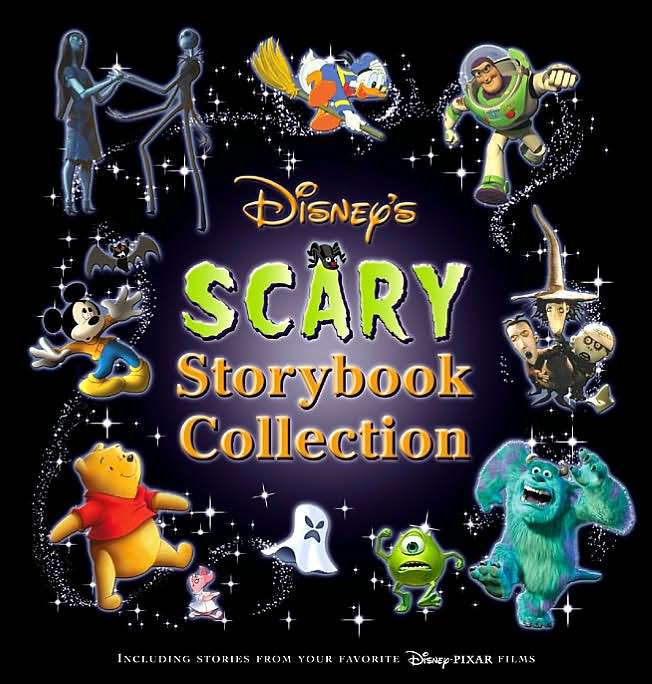 Cool Book of the Week: 'Disney's Scary Storybook Collection'. Man, I love this book and oh! So does my kid! Found this at a used bookstore and had it tucked under my arm in a heartbeat. Really fun, TONS of stories, and not scary, except for the spook factor inherent in 'The Nightmare Before Christmas' and 'The Headless Horseman' tales that are included (use your judgment as to whether your kiddos can handle those stories). Have a lovely weekend ~ There's a small farm in a nearby town that makes the most awesome fresh apple cider, we're going to go get us some! Our first frost is due tomorrow night! It's only going to be in the '50s today for our high. Fall is here!!! That pie looks amazing. I can vouch for the Welcome to Fall Cake. Witch Craft??? Awesome!!! So jealous of your lights! Thank you Miss Lori, I'm so glad you enjoy the links!!! I end up pinning all the links from the list, ha ha, it's all stuff I'm interested in for myself! Gotta love Lark! But oh no, another fantastic shopping site! LOL it's terribly addictive to shop online! They have mighty cute stuff! That little Kitty is all too right! I have to get myself some pie today! Have a great weekend Melissa! 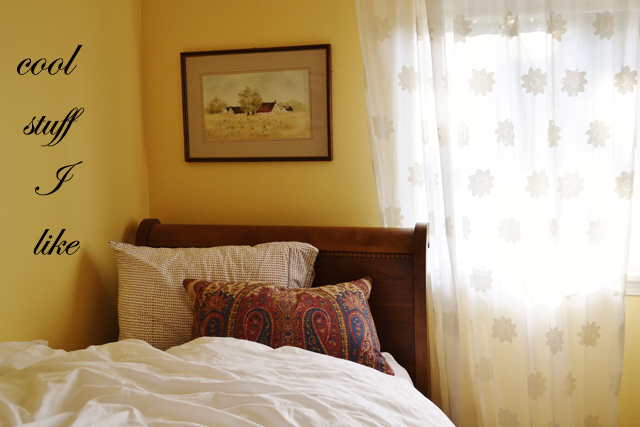 Getting out of bed is already getting hard! I feel like I have to make something fall-esque this weekend -- it might be molasses cookies, but I feel like that pie or an apple crisp is also soon on its way....Happy wkend back at you!